Following doctor’s orders, slow-witted Charlie Gordon begins to record his story through a series of “progris riports.” He wants to better himself – to “get smart” – but with an IQ of 68, he’s not even capable of beating Algernon, the lab mouse, at maze-solving. Slowly, ever so slowly, the effects of Charlie’s operation begin to show, and his reports improve. But getting smarter brings with it some stinging shocks – like when Charlie figures out that many of his “friends” haven’t been laughing with him, but at him. As his IQ continues to increase, he rises past the human average to genius level and beyond. The irony, of course, is that he’s now just as intellectually alone as the old Charlie ever was – and cruelly aware of the fact. The people who once mocked him for his idiocy now hate him for his brilliance. It had been all right as long as they could laugh at me and appear clever at my expense, but now they were feeling inferior to the moron. I began to see that by my astonishing growth I had made them shrink and emphasized their inadequacies. That’s when the lab mouse Algernon begins to deteriorate. And as everyone starts to realize that the effects of the operation might not be permanent after all, Charlie is left wondering how long he has before his own deterioration begins. Daniel Keyes’ Flowers for Algernon was first published in 1959 as work of short fiction, and was soon after expanded into a full-length novel. It went on to garner the prestigious Nebula award, and has since been regarded as somewhat of a classic. With good reason. There’s a lot going on in this novel. The first progress reports have a simple, disarming appeal to them, but as Charlie begins to grow as a character, the story grows with him, gaining considerable depth and complexity. It’s about joy, pain, betrayal, friendship, beauty, wonder, and loss. It’s about the conflict between intellect and emotion; about what is true and what we desire to be true. It’s about one man’s craving for love and human companionship. Intelligence is one of the the greatest human gifts. But all too often, a search for knowledge drives out the search for love. This is something else I’ve discovered for myself very recently. I present it to you as a hypothesis: Intelligence without the ability to give and receive affection leads to moral breakdown, to neurosis, and possibly even psychosis. And I say that the mind absorbed in and involved in itself as a self-centered end, to the exclusion of human relationships, can onlly lead to violence and pain. In the end, Charlie’s intelligence is his own worst enemy. Whether great or small, it distances him emotionally and psychologically from the people he wants to be close to. Flowers for Algernon also struggles with the question of what it means to be human. Charlie comes to resent the fact that his doctors view him as one of their creations – an experiment who owes everything, even his humanity, to the great god of science. It may sound like ingratitude, but that is one of the things I hate here – the attitude that I am a guinea pig. Nemur’s constant references to having made me what I am, or that someday there will be others like me who will become real human beings. How can I make him understand that he did not create me? Part of the brilliance of the book lies in the writing. And the brilliance of the writing is that it evolves with Charlie’s character, developing (as his understanding increases) from barely literate scribbles into full-fledged epistles. 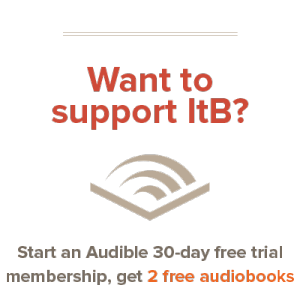 It’s a fascinating and effective technique that lends even greater weight to an already weighty book. 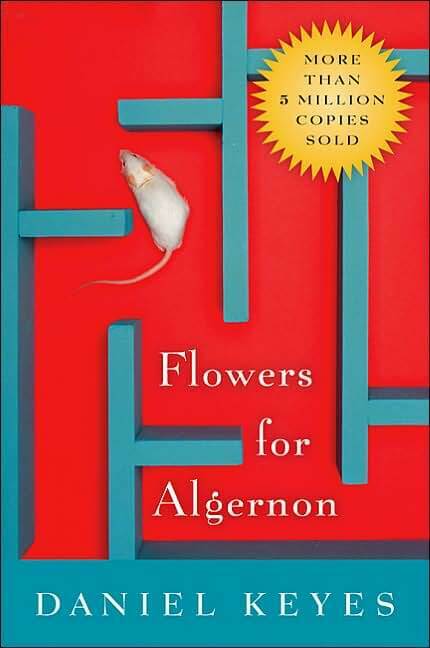 Yet as much as I appreciated Flowers for Algernon, it’s hard to say I enjoyed it. It’s a compelling read, yes, but also a haunting one, with a terrifically painful emotional impact. Charlie’s story isn’t the kind you merely think about; it’s a story you feel. And oh, how you feel it. I’ve read the short story but never the novel — perhaps I’ll have to give this a try when things settle down a little bit.